Plasma Descum: This procedure is used to remove thin residual layers of photoresist areas following photoresist development. These residual films are typically less than 1,000 Angstroms thick, but can interfere significantly in resolving the pattern during etching, especially if the pattern geometries are small (such as contact windows). A plasma descum can generally remove these residues in less than a minute. The ST1200 is designed with a shower-head gas distribution and is suggested for improved plasma descum uniformity. 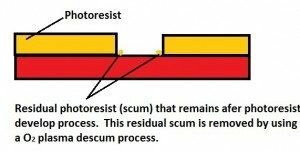 The plasma descum process itself demands stringent control be maintained so as not to adversely affect the integrity of the photoresist layer or alter the pattern quality. Serious degradation in the uniformity of etching can result. Arkansas State Universities Online Program Portal Offering Healthcare, Business, Teaching, and more. 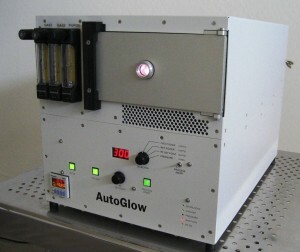 Learn more about the Glow Research AutoGlow plasma descum system.